I really liked my stay at this hostel. It's very close the the metro and on walking distance of the center and other sightseeings like Checkpoint Charlie. There is a bar were you can relax and have a beer with other travelers. You can also rent bikes at the hostel voor just 10 euro per day, I would definitely recommend that. Thanks for the good time. Veel leuke jongeren die binnen en buiten het hostel iedere avond aan het chillen waren. 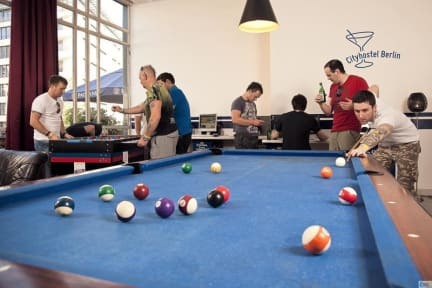 Top hostel als je gaat interrailen, er komen veel andere interrailers. 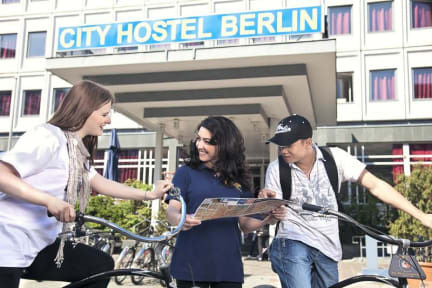 Good hostel in the city center, really close to highlights like Potsdamer platz and Unter der linden, great to go and explore the city! Rooms are big enough and clean, there are lockers but with your own lock. Towels and bed linen are provided and clean. Showers and toiles are clean, there are enough of them. Showers could use a hook for towels or a stand for your stuff, also a bit more privacy. (Showers are divided but you can see almost up to ones crotch) Personnel us friendly and helpful! Groot hostel op loop afstand van checkpoint Charlie. Gemiddeld hostel om alleen in te slapen. Ruime kamers met goeie bedden. Personeel hangt van de persoon af. Van humorloos tot en met super vrolijk.